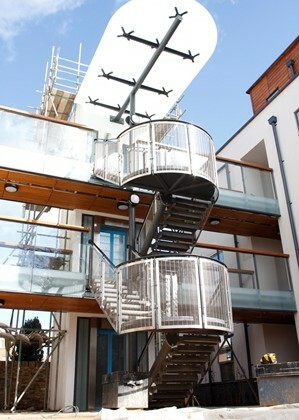 This residential development on a landlocked site in North London required special consideration of access difficulties. A phased construction approach was considered at design stage to allow the reinforced concrete structure to be constructed from one end. Flat slab construction was used to eliminate downstands and cater with the cantilevering balconies. 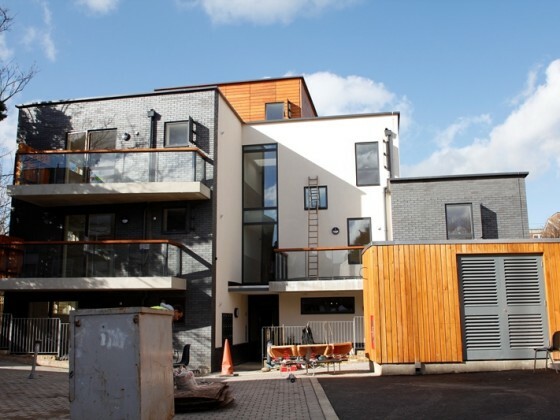 A covered walkway structure was used to provide external access to both parts of the development and this included the use of exposed structural elements to provide a lightweight appearance.